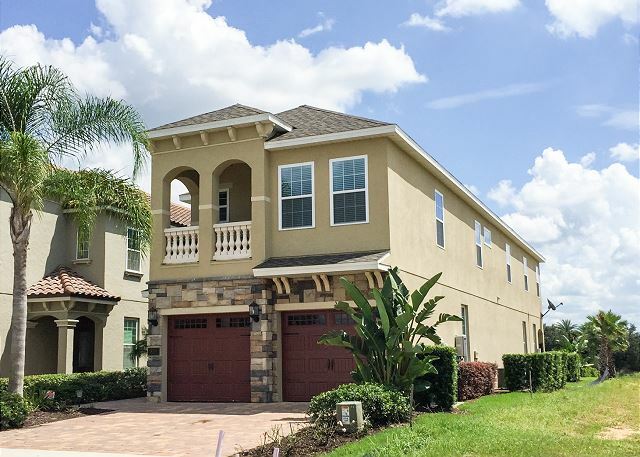 This is a masterpiece brand new to the vacation rental market. 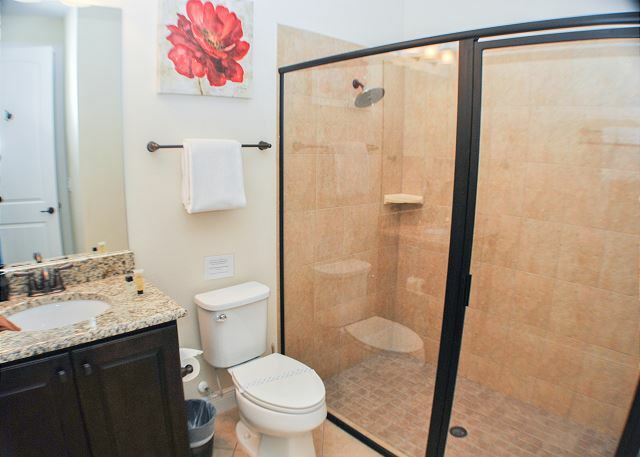 Featuring 5 bedrooms and 4.5 bathrooms, the 3 king suites all have private attached bathrooms. 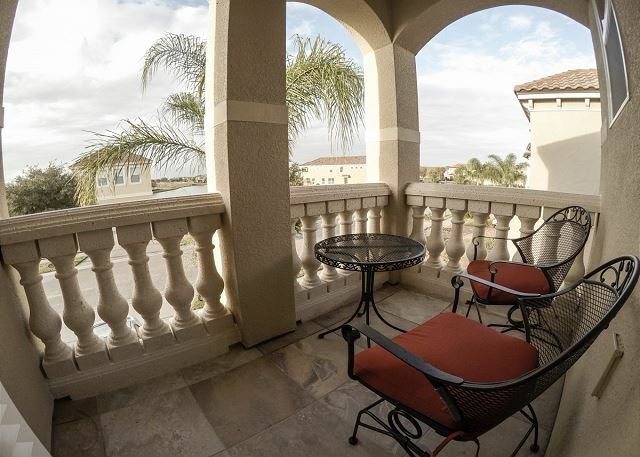 The 2 master bedrooms on the 2nd floor have balconies to sit out in and enjoy the serenity. The family room features a 80" tv on the wall with bluray player, gorgeous seating for 8 leading out to the masterfully designed patio with shaded lanai, 25' of patio space for lounging, a bubbling spa and stunning infinity pool overlooking the 16th hole in the Tradition course. 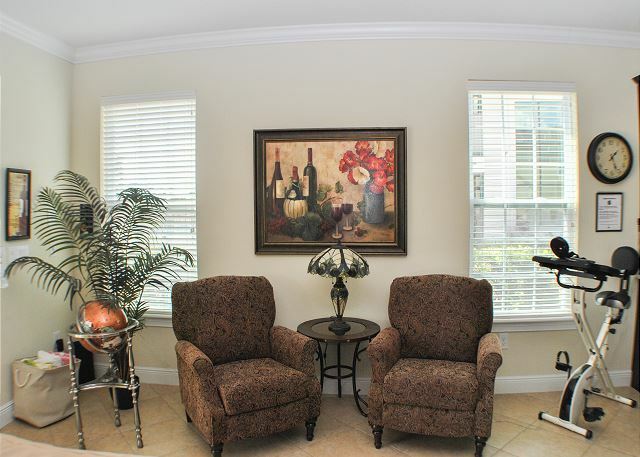 You and your family will never forget the experience this home will provide. 50" tvs throughout the rest of the home and marvelous architecture. 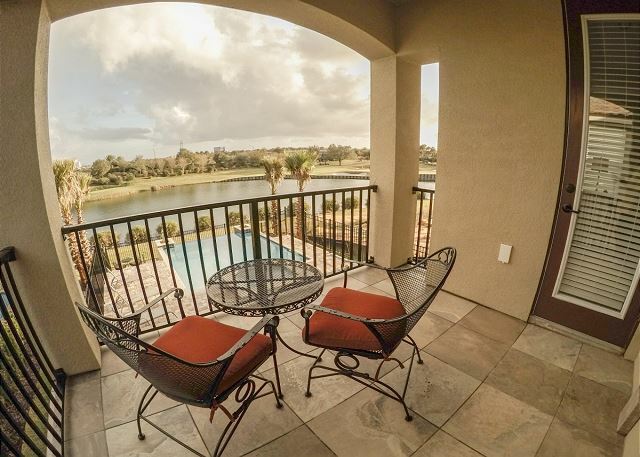 **Access to the waterpark, golf or tennis have addtional fees that will apply and advance notice is required for access. Pricing may vary, passes limited. The house was just as the pictures show. Everything was clean and well designed. The house came with a ton of dishes, utensils and cookware. The pool and hot tub were amazing. Tara answered any questions I had leading up to the stay in a timely fashion. When I had a question while at the house, she called me right back. I would definitely book this house again. We stayed from July 21st to 28th 2018. We booked online had no issues whatsoever with the house. 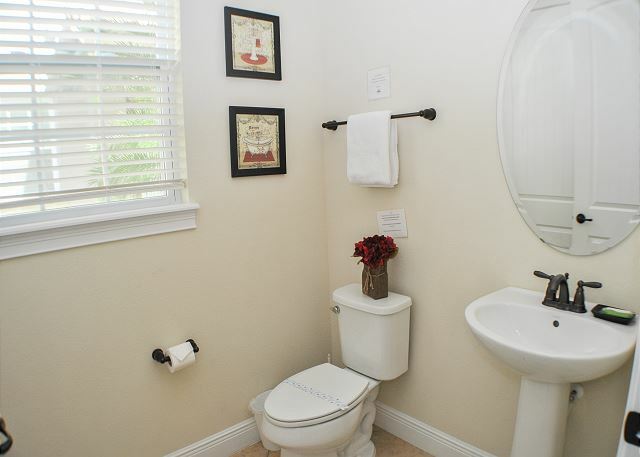 It was exactly as shown in pictures, and extremely well maintained. Disney was a 15 minute drive away. 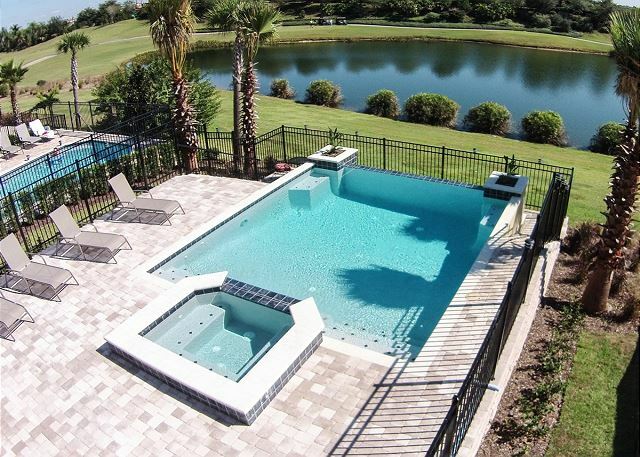 Beautiful pool and view of golf course. It was great to be able to watch Toronto local news / stations on Canadian TV satellite feed. This is the second time we have stayed at Suite 16 and it was excellent in every way. We stayed for 5 weeks and look forward to returning to what has become a ‘home from home’ for us. Thank you again. My family rented Suite 16 from April 21st to April 28th, 2018. The property came exactly as advertised. 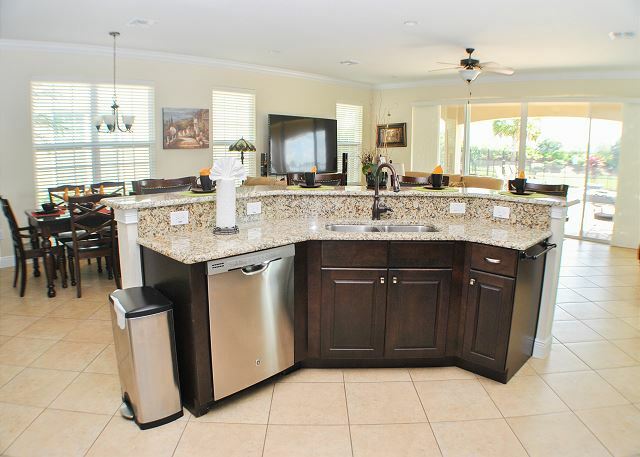 The house has everything you would require for cooking in and being in Reunion it is located very close to a number of restaurants on site, in Championsgate area as well as one exit west at the Haines city exit. 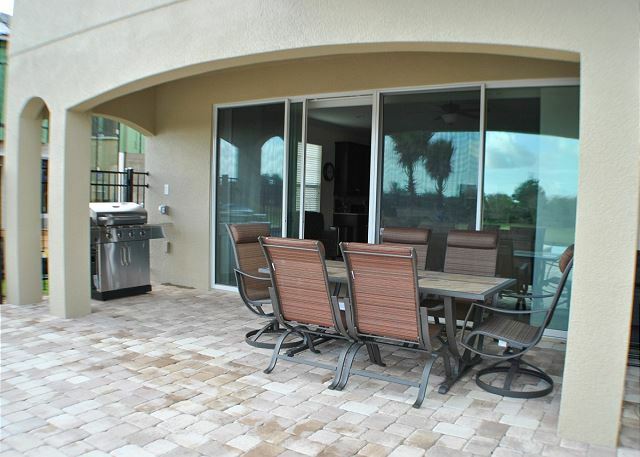 The patio and pool area are exceptional and as a golfer it has a million dollar view of a tough Par 3 on the Nicklaus course. The home has a number of excellent tv viewing areas and the TVs are all large especially the 80 in the main family room area. We enjoyed the Canadian Satellite TV feed as well as we were able to get all of the NHL playoff games and even our local news back in Halifax. All of the beds were very comfortable. I highly recommend this property and look forward to returning in the future. Vacation2Florida was also excellent to deal with in all facets of the vacation including promptly processing our damage deposit credit within 24 hours of check out. We had an awesome ladies weekend in this house. It comfortably accommodated 10 of us. The house was lovely. The pool and view were nice. The community had lovely pools and facilities. 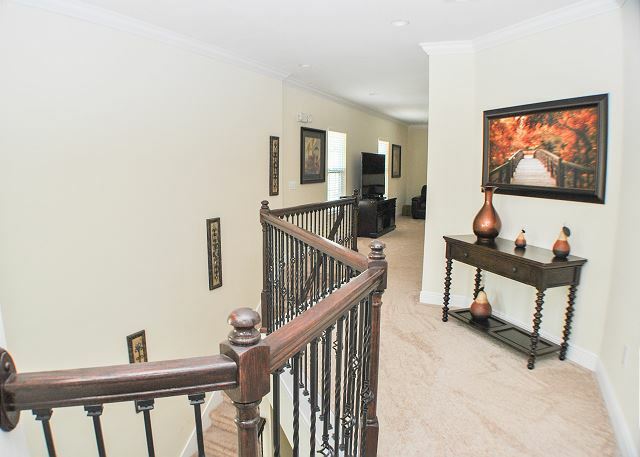 The pictures do not do this property justice. We were happy supprised when we arrived. Very nice property. This is our 3rd year in a row that we have rented a property from this company as are always pleased. This is my second time at this home and I just absolutely love it!!!! The pictures don't do it justice! Property was well maintained. Immaculately clean. Our 8 family members slept comfortably. Located in a newer development. Quiet surroundings except for road noise outside. 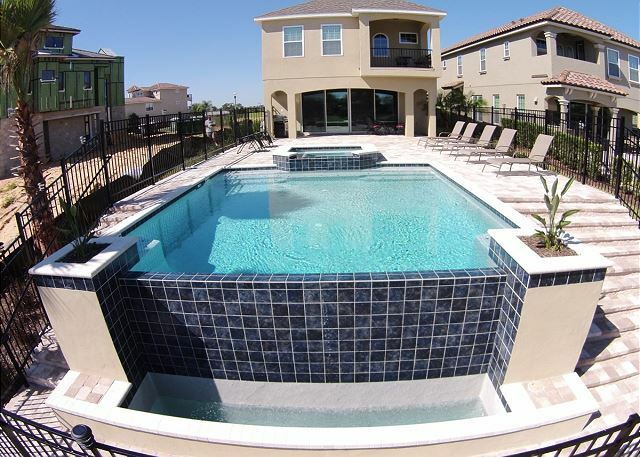 Pool was perfect on the hot Orlando afternoons. Disney was only about a 10-15 minute drive. Grocery store within 1.5 miles. Would return again. I was so impressed with this house. It was absolutely beautiful. 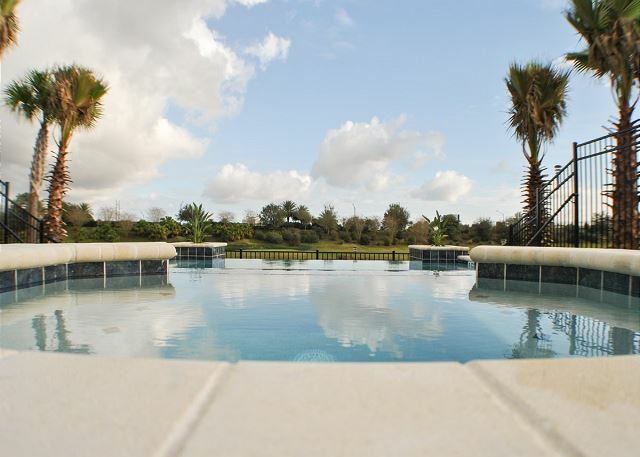 I would highly recommend this property to anyone look to experience Florida. I will be back for sure! We are glad you had a great time and look forward to your return! Don't forget to download the all in one, free App, search "vacation2florida" in your app store! Learn about area restaurants, things to do, events right on your mobile phone. A must have app for your next vacation!